As we enter Autumn you would be mistaken to think there’s less things to do, the city is absolutely bursting with great free events. Brighton Digital Festivals takes a big share of the free events this month as well as other September favourites like the Food & Drink Festival and the Ace Cafe Reunion. But here as always we highlight some of the smaller individual events like Bring your own Beamer and the Fabrica Film Club which make Brighton such an amazing place to enjoy when money is tight. Brighton Digital Festival is a month-long celebration of digital culture which runs throughout September. The festival provides an exciting platform for a community led programme produced by a network of organisations from the arts and digital communities, alongside individuals who are passionate about digital culture. 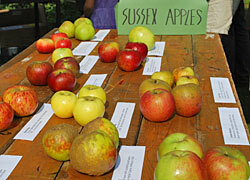 Many of the events on offer are free, check out our Things to do section for our highlights. The Press is often accused of manipulating the news to reflect private interests; now citizens are being given the chance to turn the tables. Transforming Lighthouse with a simulated news bureau as part of Brighton Digital Festival 2014, Newstweek – Fact Fixing Bureau is a new installation that invites visitors to set their own news agendas. 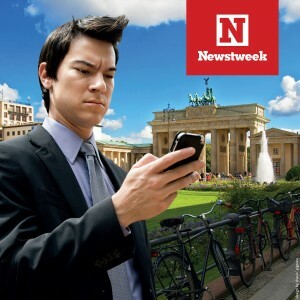 Newstweek switches the power balance between news organisations and citizens, giving visitors to the installation the chance to manipulate the facts or just troll for the ‘lulz’. The work blatantly shines a searchlight on the vulnerability of the new informational ecosystem of journalism, and questions, importantly, how we use our devices and media in our daily lives. The Brighton Speed Trials is an exhilarating, action-packed day for spectators and participants alike. Over two hundred cars and motor bikes line up to take a timed run down Madeira Drive reaching high speeds. There are numerous categories including road cars, race cars and bikes who compete to win the fastest in their class. A top six run-off to find the fastest car and bike brings the day to a dramatic close. Thousands of people attend this annual fun day out for all the family. Join the spectators to watch from close to the action on Madeira Drive or from the main road above. The Artisan market will be hosting a unique and awesome arts and crafts fair. This fair will be showcasing a fabulous selection of much sought-after work from some of the most original and talented artisans in the area. If you are a lover of unique, quality hand crafted goods, this really is the place to be! A few examples of what stall holders will be selling at the market includes: clothing, jewellery, hand crafted leather work, ceramics and much more. Saturday 6th – Sunday 7th, open from 11am-6pm. New and original works in ink, tea, alcohol and raw pigment with embellishments in hand embroidery. 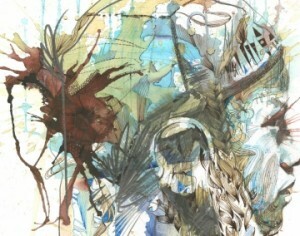 Ink_d announces ORIGINS by Carne Griffiths. This much anticipated solo show follows the success of his previous show at the gallery in 2012. This time Griffiths presents a new body of work which are meditations on the subject of ‘Origins’ questioning whether we trace back to a single source, or if each of us carry a small amount of information passed from generation to generation. Is there a thread that links us all together, a common consciousness? The Brighton & Hove Food and Drink Festival is the largest festival of its kind in the south of England, running for 10 days every April and September. With local producers, growers, restaurants, bars and food retailers firmly at it’s heart, it’s a showcase of the fantastic food, drink and hospitality to be found in the city and surrounding Sussex. Rated by the New York Post in February 2012 as one of the world’s leading local food events, the festival also runs and supports food activity throughout the year including farmers markets and the Brighton Restaurant Association. To commemorate the 100th anniversary of the start of the First World War, this exhibition brings to life the wartime experiences of 15 individuals whose intensely personal memories and extraordinary stories reveal the impact of war. The diverse voices of individuals reveal both familiar and surprising stories of a war that profoundly changed British society. See the war through the eyes of a young girl born in 1914, an Indian soldier wounded on the Western Front and taken to hospital in the Royal Pavilion, soldiers from Brighton, including a Brighton & Hove Albion footballer, nurses and a gardener who was imprisoned for his pacifist beliefs. Personal letters, diaries, art, photography, costume, film and memorabilia evoke the love, excitement, fear, bravery, grief, loss and longing that touched the lives of millions of people. Reflections on our personal and collective acts of remembrance and commemoration explore the continuing impact of war on our lives. Fabrica Film Club is marking the Centenary of the First World War with this classic musical, directed by Sir Richard Attenborough and partly filmed on our very own West Pier of Brighton. 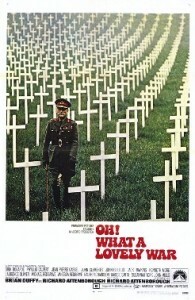 Based on Joan Littlewood’s 1963 stage musical, Oh, What a Lovely War! this adaptation is packed with British stars (Olivier, Gielgud, Redgraves’) follows some of the most noted stages of the war, and revolves around the marching songs of the soldiers. Filled with satire, this daring anti-war film reflects Britains experience of losing an entire generation to the conflict.Comfy chairs, bean bags, blankets and free nibbles. Low-cost pay bar. Film Club is free to book, but please ensure if you have booked that you come, or if you find you can’t attend, let us know so someone on the waiting list can attend instead – we hate wasted seats! Ace Cafe is the famous bikers’ cafe on London’s North Circular Road. Built as a cafe for road hauliers in the 1930s it became the favourite haunt of Britain’s motorcyclists, part of teenage culture and post-war rock ‘n’ roll. It closed in 1969: end of an era. But in 1993 Mark Wilsmore had the idea for the Ace Cafe Reunion, an annual event at the old Ace Cafe site. And so it’s gone from there and in 1997 the old cafe itself was reborn. The Brighton Burn Up & Ride With The Rockers, has been an integral part of Ace Cafe Reunions since 1996, and is a free, grand day out at the seaside on Brighton’s famous seafront road, Madeira Drive. With trade and club stands, stunt displays, live music and special guests, it’s an experience not to be missed! 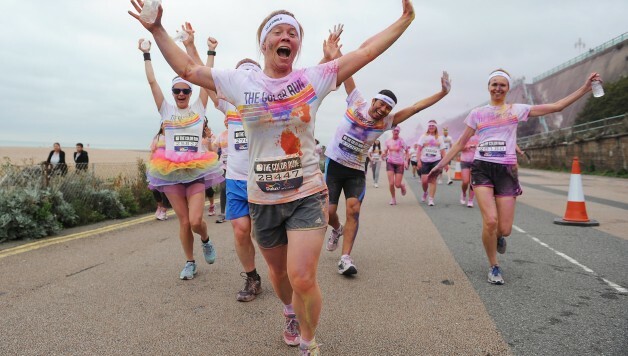 After the success of last year’s event, The Color Run presented by Dulux will be back on the South Coast this summer. More than 6,000 ‘Color Runners’ of all shapes, sizes, ages and speeds took part last year as the run made its Sussex debut in September 2013. Dubbed ‘The happiest 5k on the planet’, The Color Run is not timed, meaning groups of friends can walk, jog, dance and party their way along the course at any pace. At each kilometre, colour explosions cover runners in kaleidoscopic fashion before DJs entertain the crowd in the Colour Festival Area after the finish line. A night of collaborative moving image, projection, participation and experimentation. 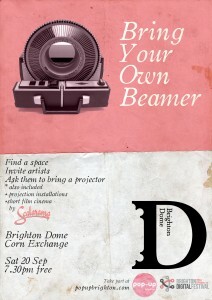 Find a space, invite artists, ask them to bring a projector. The idea is simple but the outcome is a creative free-for-all of light and colour. Pop-up Brighton’s night of experimentation and collaboration return once again for Brighton Digital Festival in the new space of the Corn Exchange. Moving image artists are invited to Brighton Dome to find a place to project. The audience will explore curated video installation pods and the short film cinema whilst being amazed by the unpredictable result of artists turning up with their ‘beamer’. Join us at the Old Ship Hotel to indulge in some wonderful cakes whilst raising funds for Macmillan cancer charity. The World’s Biggest Coffee Morning is Macmillan Cancer Support’s biggest charity fundraising event. We ask people across the UK – and sometimes further afield -to hold a coffee morning, where donations on the day are made to Macmillan. In 2013 154,000 people signed up to coffee morning, raising a record £20 million for charity. Macmillan World’s Biggest Coffee Morning 2014 – Get down to Emporium for a morning of fundraising for a fantastic cause – all tea and coffee sales will be donated to Macmillan PLUS there will be a bit of a ‘handmade’ table sale. If you would like to bring along, and donate, something of your own creating – a Victoria sponge, perhaps? Or some home-made preserves or a crocheted teapot cosy – all sale proceeds will go directly to Macmillan too. Bring museum objects to life with animation, create new objects with 3D printing, and explore your own stories. 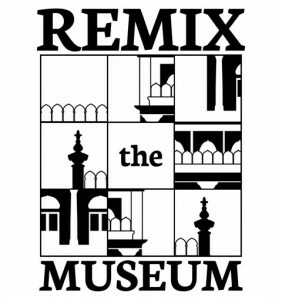 Brighton museum like you’ve never seen it before, as Brighton Youth Film Festival teams up with animator Dave Packer and a team of young creators as they present a visual remix of the museum’s collection. The installation is part of the Brighton Digital Festival.